This is the best part of Internet outages—when the Internet service provider blames the hardware, and vice versa. The customers really don't care what the problem is. But a "a subset of Time/Warner ISP users" that haven't been able to connect to Xbox Live since noon yesterday still can't get into the system today. The outage is now past its 24th hour but because it doesn't seem to blanket a region or a particular Internet subscriber entirely, it's tough to pin down what exactly is going on. I'm a Time/Warner cable Internet subscriber myself and I have had no problem connecting to Xbox Live for the past day. I live in North Carolina. But readers in Texas, and Kotaku staff in New York, have reported problems making the services play nice. "Time Warner is saying its not on their end and Xbox is saying its not on their end," says reader J.B. from Austin, Texas. 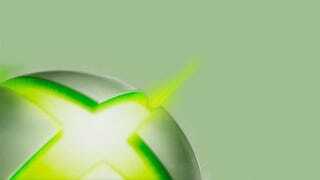 We've pinged Xbox Live representatives for some kind of followup. Meantime, check in with the comments to say where you can or can't get access, if you are a Time-Warner subscriber. If you're having issues connecting to Xbox LIVE and are using the Time Warner ISP, thank you for being patient and sticking with us while we work out the problem. Rest assured we are still working hard alongside Time Warner to fix it as quickly as we can. We will continue to update you as new information becomes available.